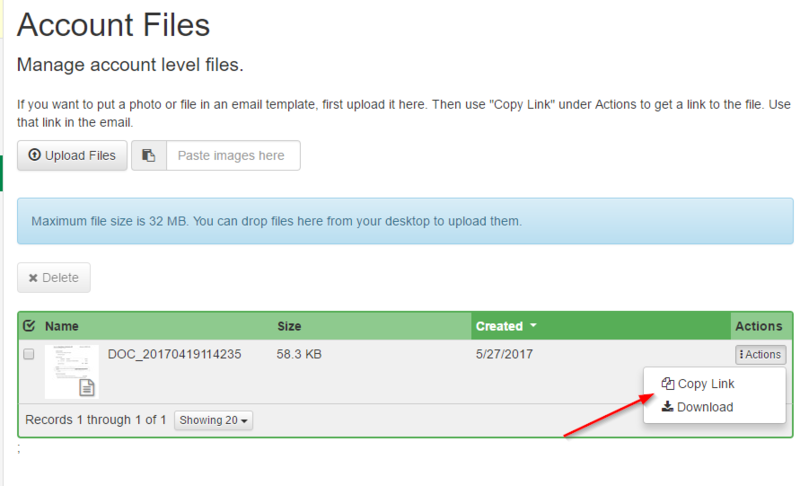 There are two ways to send files in emails -- either via attachment or by including a link to the file in the email. We don't currently support attachments on emails because we've seen issues with deliverability with attachments -- emails going to spam folders more often, etc. 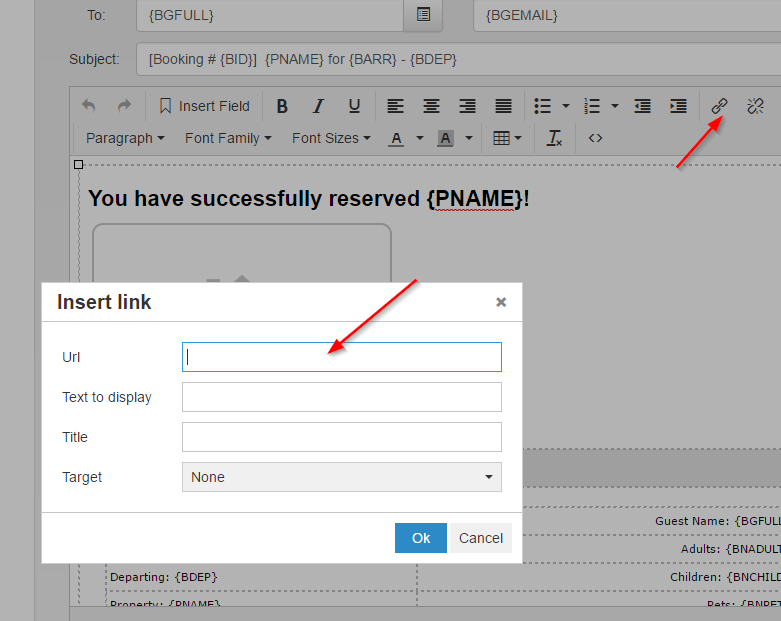 Put the link in the Url box and the text you want to show on the page in the "Text to display" box.